The 35 year old vessel «Chukotka+» carried several thousand tons of oil and independently tried to make it across the Northern Sea Route. According to Rostom, the state company operating the fleet of nuclear-powered icebreakers, the «Chukotka+» on the 30th October entered the waters of the Northern Sea Route. The ship sailed alone and aimed for a voyage across the Arctic route without icebreaker assistance. In the Sannikov Strait, the area between the New Siberian Islands and the mainland, the ship got stuck in ice. It subsequently drifted with the ice onto a sand bank. On 22nd November, nuclear icebreaker «Yamal» arrived on site in a rescue operation. The tanker was pulled off the ground and to a safe place, Rosatom representative Vladimir Artyunin says in a press release. The «Chukotka+» subsequently proceeded it voyage eastwards with support from icebreakers. Rosatom does not report about any damage to the ship, nor leak of oil. 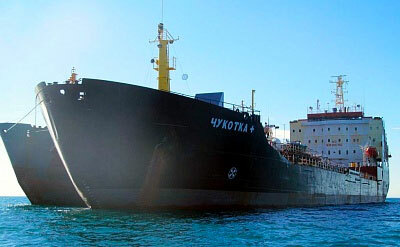 The ship owner, the Chukotka Trading Company, has not released any information about the incident on its website. If the ship had started to leak oil, it could have had potential devastating consequences for the vulnerable waters along the Arctic East-Siberian coast. According to the Northern Sea Route Administration, the ship on Friday 1 December drifted in the area of Cape Dezhnev in the Bering Strait. Nearby is «Pyotr Veliky», the cargo ship which is on its way from Dikson with up to 21,000 tons of coal from the Taybass coal basin. Icebreaker «Yamal» is back in ice waters near Sabetta, information from the NSR Administration shows. Ice data from the Russian Arctic and Antarctic Research Institute shows that the waters east of Wrangel Island still are ice-free. However, in the Laptev Sea the ice thickness is up to 200 cm. The exact time and place of the rescue operation is not clear. According to information from ship tracking service MarineTraffic, the «Chukotka+» was located near Kotelny in the New Siberian Islands already on 28th October. That is far earlier than described by Rosatom. The ship proceeded from Murmansk. The Chukotka Trading Company acquired the «Chukotka+» in 2016. The ship, which today has the port of Egvekinok as its home base, is built in year 1982 and has ice classification and capacity to carry up to 11,000 tons of oil. It was originally built in Valmet Vuosaari Shipyard in Helsinki for oil company Shell. 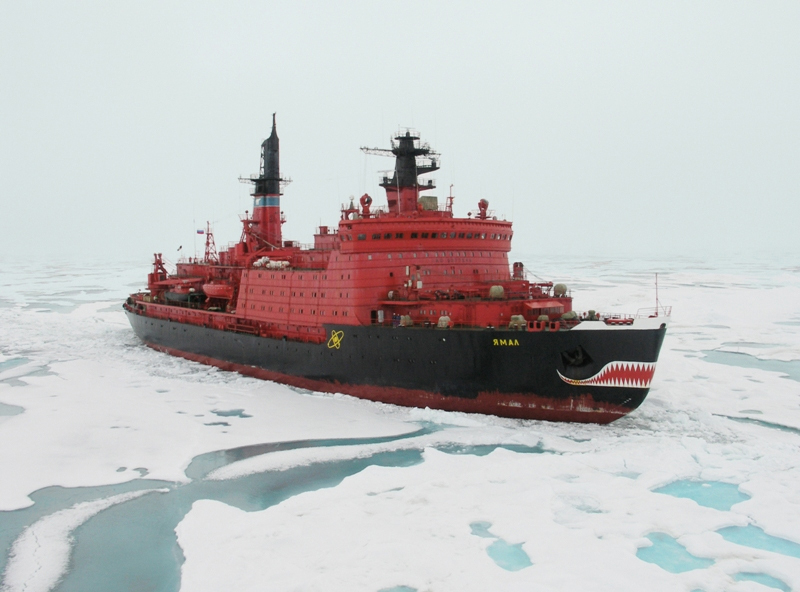 It is not the first time that ships get stuck along the Russian Arctic coast. In early 2017, three ship including icebreaker «Kapitan Dranitsyn» remained ice-locked in Pevek for several months.